With all the focus on Greece it is easy to forget the coming economic collapse begins with Germany. I shared a warning about Germany in my previous post: David Wilkerson: Economic Collapse Begins in Germany, but I am posting again today to share more confirmations. Rumors are circulating that there is more to the Deutsche Bank story. Financial analyst Jim Willie recently shared in his newsletter, The Golden Jackass, that Deutsche Bank suffered enormous losses in May, which started an internal financial meltdown that will soon bring down the German economy and the global financial system within a few months. The rumor is Deutsche Bank lost over $1 trillion on derivative products caused by a sudden spike in interest rates. The interest rate on 10-year German bonds recently spiked up from less than 0.1% in mid-April to over 0.9% in early June. Even though that is only an increase of about 8 tenths of a percentage, it adds up very quickly because of the size of Deutsche Bank’s position. They are the world’s largest holder of derivatives with an estimated $54 trillion, which is almost 15 times the size of Germany’s entire annual GDP. With a position that large even a small mistake could quickly cause unbearable losses, not only for them, but also for Germany. Prices for derivatives are almost always tied to interest rates. As Europe’s largest economy, Germany is currently the only thing holding the European Union together. For the past five years, they have been picking up the tab in the form of bailout packages to prop up failed economies in Italy, Spain, Portugal, Ireland, and Greece. So a financial collapse in Germany would cause investors to lose confidence in the European Union, which would cause the euro to collapse. The collapse of the European Union and the euro would also cause the collapse of the Swiss franc, which has long been considered a safe haven. However, the Swiss National Bank has taken many wrong moves in recent years attempting to prop up the European Union. Their balance sheet now shows very large positions in European bonds and equities. Even this week they announced they were intervening in currency markets to prop up the euro. They are fighting to save the euro in a desperate attempt to save themselves. Neville Johnson, founder of The Academy of Light, received a prophetic vision in which he saw the next economic collapse starting in Germany and Japan. He shared the following testimony in his newsletter dated October 2013. I saw another devastating economic collapse. Although the order and timing was not clear, I saw that Japan and Germany were some of the triggers in this. I saw an earthquake devastating Tokyo, which is also a trigger as the Tokyo stock market closed indefinitely. The USA was seriously affected by this. It was revealed to me that none of the banking safeguards, which were recommended after the last economic meltdown in the USA had been put in place. This economic collapse will be far more severe than the last one. Many churches and Christians organizations along with large corporations will fall into bankruptcy because of this. Like David Wilkerson, Neville Johnson saw the coming global economic collapse will begin in Germany. However, he also saw a large earthquake hitting Japan. As the world’s third largest economy, a devastating earthquake in Japan would severely hurt financial markets around the world. Back in 1985, John Paul Jackson saw a news headline and a vision of a large volcanic eruption killing 7 million people in Tokyo, but it sounds like that might not be the same event that Neville Johnson saw. Hopefully, neither of these things will happen anytime soon. Even though Greece is currently getting most of the news headlines, we can expect bigger news coming soon from Germany and Japan. The problems in Greece appear to be very dire today as they are defaulting on their June payment to the IMF, but they still have a nationwide referendum coming up on July 5 that might provide the basis for a new deal with the ECB and IMF. Even if the people vote to leave the EU, we can expect the problems there to be somewhat contained for a while longer. The Greek drama is just the opening act in this tragic play. Germany is the one to watch. The People’s Bank of China is Coming! Like David Wilkerson, Neville Johnson saw the coming global economic collapse will begin in Germany. Deutsche Bank stock is down 8% today. The news headlines are not positive. More news for DB just yesterday. Not only have they recently eliminated dividends, but also management bonuses due to poor performance ($7 Billion Loss). There was also a comment about DB possibly needing to raise capital later this year. So the cracks are starting to show. Kasey Not that trouble is not around the corner for all banks but DB is center stage regarding loans, debt. and derivatives. They are hopelessly connected to all the Euro debt…….Prudent move despite the loss. It is happening now. A few days ago on a different post here, I mentioned I sold everything IRA and cashed in that night. I mentioned that I had taken a hit / loss. 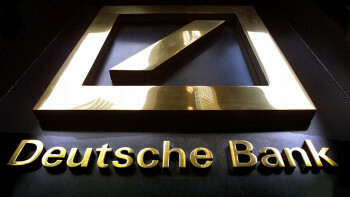 The Financial Institution I was using was in Germany, the Deutsche Bank. It is a German global banking and financial service company with its headquarters in the Deutsche Bank Twin Towers in Frankfurt. The “Twin Towers” was not lost on me either, disaster is what I see. On the above youtube video, at the 35 minute mark, Mark O’Byrne is discussing the problems with Greece and brings up another potential black swan that no one is paying attention to. That is Ukraine, which he says has economic problems and they are in the background not being talked about. This is from Gordon T Long’s Financial Repression Authority Channel. I like to put up good videos for others who may not really understand what is going on in the background with the economies of the world, and are only hearing and believing what they see on TV. That used to be me. After inquiring of the Lord in 2008 after the collapse, and onward, I asked the Lord to show me and give me wisdom because I knew in my spirit that something was really wrong with the economy. I watched and learned from that point onward how corrupt the system is that the world is under. On the video, they talk about how Europe is discussing behind the scenes about going to a cashless society, this way there can never be a run on the bank. Also the Lord led me to Terry Bennett. I see from some of the posts that some believe he could be a false prophet. I don’t believe he is. Heck, back then I didn’t even know about you tube videos. For any one who is a skeptic on him, I suggest listening to a few of his sermons on you tube. They’re really long, but some of them can make you cry. He has such a heart for the Lord, and to see people come to the Lord. I don’t think Jesus would lead me to a false prophet. God Bless and let the Lord lead you and teach you. One day I’ll have to meet you: maybe not here but in a higher plane. I have been going through the roughest period of my life and your voice echos in my mind about trustiing “Him.” It’s the “Him” part that reverberates in my brain. It sounds to me like the Holy Spirit is ministering to you and just using what I said to do it. If it was not my words he would use someone else’s. So it is him who is awesome, not me. Thanks for sharing what he is doing. Like you, I depend on him for help and the good news is he is always there for us. Hey James I just wanted to pay a tribute to you. I first heard in December (I think) on Trunews and you spoke about your dreams and I clearly remember you speaking about Obama leaving on a plane to go elsewhere because his work was done in the US. As stated above you grabbed my attention heavily with your Monday, February 9th interview with Rick Wiles. Wow! That was riveting. For one thing I didn’t think that God would give such specifics of the market especially with FAZ. That sent me into hours of research: what’s happening definitely correlates. The thing that really draws me to you. Is your calm demeanor and laid back tone. And, you don’t self-promote. And, your 3 way interview in May (I believe) you last comment and toward the end of the show is so ingrained in my memory. You said something to the effect of we have to look “to Him.” And, I have thought about that a lot lately. I have had a tendency to focus on the financial profiting and defense and that stuff is so irrelevant compared to seeking and trusting Christ. My hats off to you and also thanks for sharing your strategy update. Wow, thanks a lot for sharing that! Being on Trunews.com was way out of my comfort zone so I am glad to know someone got something good out of it. Regarding self-promotion, I have made a decision to give away all of my work for free. I started this blog in November 2012 and have had no ads on it with the exception of two months earlier this year, which turned out to be a mistake. I believe the Lord showed me in my prayer time to remove the ads and just put a donation link, which I did. I love the idea of living totally contrary to the ways of this world where everyone is seeking (and in some cases demanding) something for themselves. What if we just give everything away freely and trust the Lord to repay us? 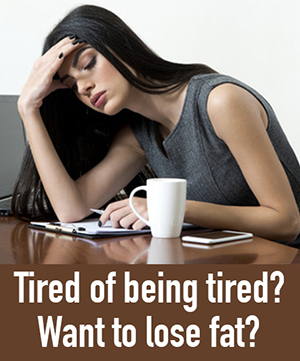 I believe we can and I have seen others prove it works. Jesus said, “Freely you have received, therefore freely give” (Matthew 10:8). That frees us up to spend our whole life seeking to help other people knowing that God will take care of us. And, may Christ judge the USA and cause people to turn back to Him. Wow your response time was incredible. I gotta give you some complements. I first heard you back in December (I think) and I was fascinated by your dreams of Obama leaving and taking a plane: there was quite a lot you said. Again, your Monday, February 9th interview with Rick was simply riveting. It really caught me off guard: I guess I just didn’t think that God would give specific names to ETF/stock ticker names. That sent to the library and to the internet where I did hours and hours of research. When I hear prophecy I tend to be very skeptical even when I want to believe it. “Question/test everything hold on to the truth” 1 Thes. 5: something. What I find so reassuring is your calm and laid back demeanor. You don’t self advertise or self-promote. And, you had a three way interview I think in May again on Trunews. Wow! I was deeply impressed. Your last comment was something to the effect of trust Him and you emphasized that: that is so ingrained in my memory. I still clearly hear. Moreover, it’s so deeply true. I have had a huge tendency to focus in on how I can profit and defend myself financially that I forget that money is incredibly secondary. Anyhow, my hats off to you. And, I’m a fan. As far as your play. I think I’m in the same boat. That dream about USD/CHF going up to .98 spooked me! I was just hoping to hold and worry about it later. I’m glad you mentioned the Obama and 1.2 Bill to Ukraine: I know you’ll probably stated that more times than you care to. But, I had forgotten. It’s so volatile and lately USD/CHF chart looks like an EKG strip. Hey James thank you for sharing all this information. I was heavily impacted by you by your February 9th interview on Trunews: that sent me into hours of research. Nevertheless, are you still sticking with your hold strategy on the sell side of USD:CHF on the Forex market? It seems like with this post that the Forex is too volatile. I tried holding the sell position, but quickly found out I did not like holding when it was moving up. So I reverted back to just waiting for opportunites to present themselves on either side. Currently, I am out of the market for the very reason you stated, it is too volatile, especially with the Greek referedum tomorrow. I already shared how I saw the price dropping down to .58146, but the big drop happens after Obama authorizes $1.2 billion in military aid for some troubled hotspot. That bill is in the final stages now and should reach Obama very soon. So I am waiting for that. In the meantime, the price for USD/CHF could go up due to the trouble in Greece putting downward pressure on the euro and franc. One visitor to this site, named Rob, shared a dream in which he saw the price reaching .98 and also .89, so it is very volatile and best to play it safe.